Restoring Your Smile with Highly Customized Dentures! When you’re missing several teeth, performing the most basic tasks can be incredibly frustrating. Chewing your favorite foods or speaking with your friends and family can feel daunting, but they aren’t the only reasons why dentures in Altamonte Springs are worth exploring. You also do your oral health a big favor, especially if you need a partial denture. The last thing you want is for neighboring teeth to shift and cause misalignments in your bite and smile. Luckily, the dentists are fully prepared to create a custom denture, full or partial, that fits your mouth comfortably and naturally. 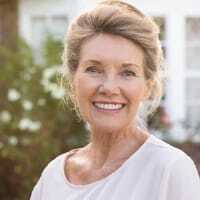 Read on to learn about the unique benefits each denture provides! 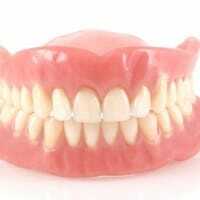 Complete dentures are best intended for patients missing all their teeth. Whether you came to the dentist missing all teeth or needed teeth extracted, complete dentures can offer solutions to both situations. If you have teeth removed, then you’ll wear a temporary denture while your gum tissue heals. This is known as an immediate denture is provided right after teeth are extracted so you don’t have to be without teeth while your permanent denture is being made. However, you’ll need to come back for adjustments throughout this healing period as your bone and gums change shape. Once the complete denture is fabricated, you’ll come back to make sure they fit properly. Keep in mind that your immediate denture is only a temporary solution and should not be the denture you rely on long-term. Partial dentures are meant to only replace a handful of teeth, however they’re more comprehensive than a traditional bridge. For example, if you’re missing consecutive teeth on both sides of a single arch, a partial denture would be the best solution. When you’re only missing a handful of teeth, your remaining teeth can easily begin to shift into these open spaces if a denture isn’t in place. Other than the number of teeth they replace, complete and partial dentures are most differentiated by how they’re fitted. Complete dentures are designed to use opposing teeth, saliva, natural suction and the anatomical structure of the mouth to stay in place. In contrast, partial dentures are attached to a metal framework held in place by the contours of the bone and gums. They’re also kept stable via metal connectors attached to healthy teeth for added support. 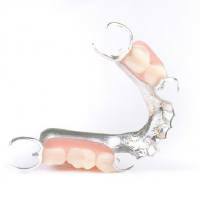 What is the Process for Creating Dentures? The fabrication process can take a few weeks and multiple appointments to complete. Once our dentists determine the right denture for you, they’ll take impressions of your upper and lower jaw and take measurements to determine the amount of space between them. Then, they’ll create models in the exact shape and position of your future denture. After trying the model on and assessing the color, shape and fit, the final denture will be cast. Following the casting, you’ll come in for one final evaluation, allowing the dentist to make adjustments to its fit as necessary. Ready to restore your smile with complete or partial removable dentures? Contact one of our dentists in Altamonte Springs to schedule your consultation!